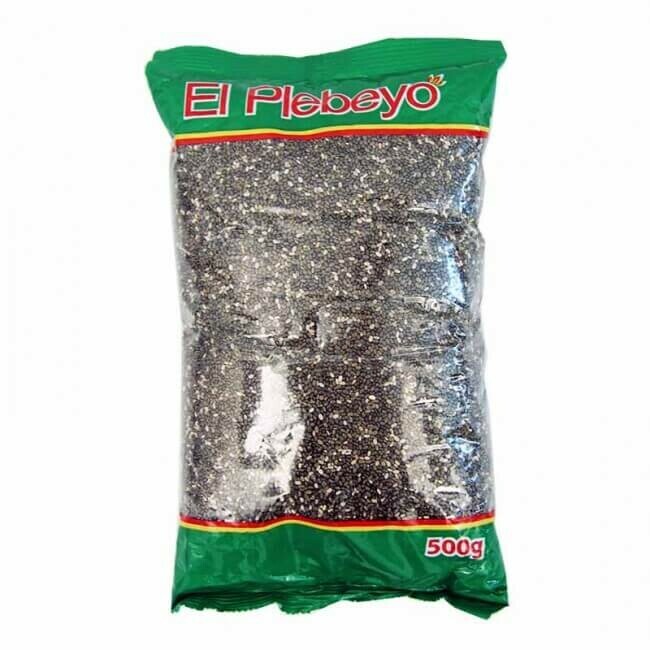 CHIA Seeds - Salvia Hispanica - a South American herb, oil seeds - food Aztec runners. CHIA Seeds - Salvia Hispanica - a South American herb , oil seeds - food Aztec runners - are a source of minerals, protein, fiber and omega-3 fatty acids, which prevent nutrient deficiencies in the body, with increased physical activity and stress. Calcium, iron and magnesium. Allergens: May contain additives with gluten and peanuts. Importer Irlanda-Travel Ltd., Sv. Vincent 2, 821 03 Bratislava, Slovak Republic.